Almost 50 years of experience creating holidays. More than 8 million visitors. And very close to the world famous theme parks and attractions, the Everglades headwaters, extraordinary natural wonders and dishes for every palate. Experience Kissimmee is the official tourism authority for Osceola County, Florida. It is also the world's capital of vacation homes, with more than 50,000 lodging options, including luxury resorts, family hotels and more than 25,000 vacation homes. 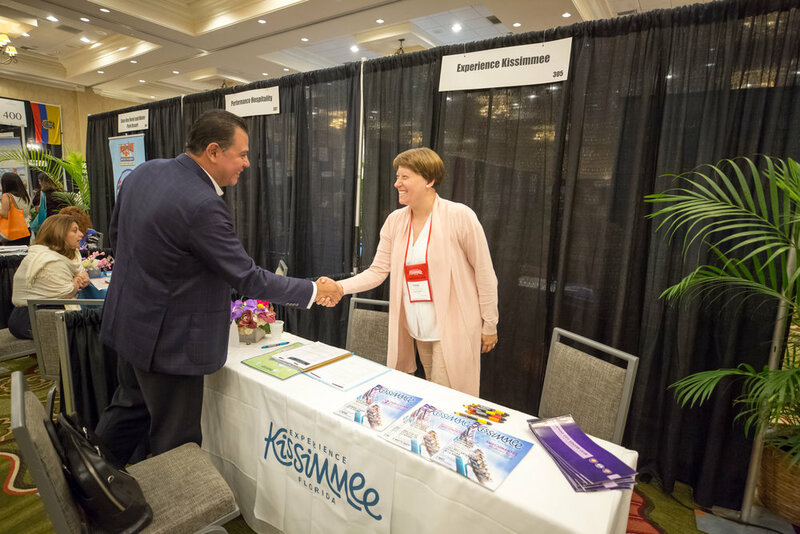 Melissa Basilio - Sales Manager for Latin America at Experience Kissimmee, promoting the destination during last year's La Cita. Newer PostGREATER FORT LAUDERDALE CVB. "We want to show people that we celebrate diversity." Older PostInterview to La Cita Manager Rick Still during La Cita V Edition in St. Pete, Florida.